Apple announced new nylon bands at the iPhone SE announcement, and those bands were part of the expected announcement. Apple was rumored to have an Apple Watch refresh in the works -- which didn't happen, to the disappointment of some diehard Apple fans. At any rate, the new nylon bands bring some additional style to the Apple Watch, allowing consumers to have even more choice over their watch bands and customization. 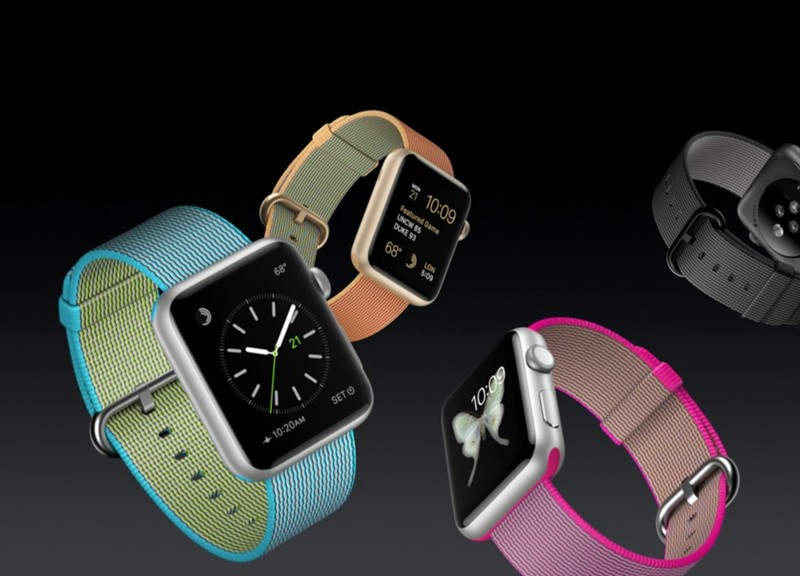 The nylon bands are now available for order from Apple, including online. The bands have been available in retail stores, but many customers live life on the go or lack immediate access to an Apple Store. In these circumstances, online ordering has become the ideal option that gives customers the freedom to order at will while still getting access to the products they want. The woven nylon bands come in Black, Scuba Blue, Pearl, Pink, Royal Blue, Gold/Royal Blue, and Gold/Red colors for $49 each -- which is a high price to pay for a band when other watch bands cost $20 or less. Nevertheless, keep in mind that Apple has designed these woven nylon bands specifically for the Apple Watch, and the fine materials themselves a part of the price tag. It's no secret though that Apple does sell its products at a high price, so $50 for an Apple Watch band is no surprise. Apple is also selling the iPhone SE, a phone with some current specs such as 4K video recording, 12MP camera, and A9 chip running iOS 9.3, in a body that's reminiscent of the 4-inch iPhone 5 for the price of $399.99. At best the iPhone SE is a mid-range smartphone with some high-end specs, but the device display size is quite small and designed for those who only want a 4-inch form factor. $400 for a 4-inch screen is excessive when you consider that the onslaught of Android smartphones come in 5-inch displays for the same price. Of course, Apple offers a 64GB iPhone SE for $500, but this goes to show that the company charges premium pricing for its devices. For those of you that have been waiting for these nylon bands, head on over to www.apple.com to pick up your watch bands, then come back and let us know which colors you purchased and why.